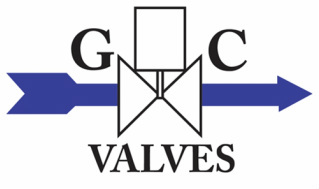 GC Valves - Memphis Control Center, Inc.
GC Valves - in partnership with Components For Automation -- designs and manufactures world class solenoid valves to meet the rigors of today’s most demanding applications. Whether building ITT General Controls designs or adapting the designs of Europe’s leading solenoid valve manufacturer, we have the solenoid valve that meets all your application needs. Most are available in brass or stainless steel construction, and many are also available in plastic bodies. Variations are available to handle virtually any liquid or gas from vacuum to high flow - pressure; cryogenics to steam; natural gas to fuel oil; air and water to reagents and enzymes; ultra-pure to corrosive.Pipe sizes from 10-32 to 2 inch in single valve, manifold, explosion proof and intrinsically safe designs. Latching and low power designs, too. All at competitive prices. Vacuum to 200 psi - Cv to 28 Orifices to 1-1/4"
Cv to 1.7 - Orifices to 3/8"